At Pleasant View Farm we have different companies that run their operation off of our property. We have Lisa Pierson and Top Focus Farm. Lisa has been a professional trainer and competitor for over 25 years. Born and raised in Michigan, she was owner and head trainer of Banbury Cross Farm in Ann Arbor, Michigan from 1985 until 2000. Lisa taught and competed in Eventing and Dressage, training primarily during this time with Bodo Hangen and Maryal Barnett. She also trained and competed in Florida with Patrick Burssens. In 1995, Lisa was named Michigan Combined Training Association Professional of the Year. 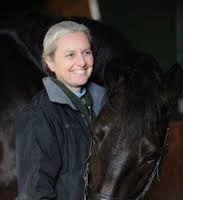 Lisa Pierson is a regular contributor to both USDF Connection and Dressage Today magazines. She has attended USDF Instructor Symposiums given by Major Anders Lindgren, Hubertus Schmidt, Debbie McDonald, Klaus Balkenhol, Steffen Peters and Kyra Kyrklund. In 2010, Lisa completed the USDF Instructor Certification through Fourth Level, and is a graduate of the USDF “L” Program. She is a USDF Gold medalist, and has won several Championships and Reserve Championships in Regions 2 and 8. 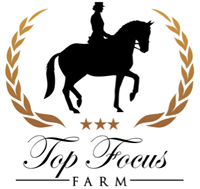 Top Focus Farm is run by Wendy Terebesi. Principally a dressage operation, Wendy provides her riders and horses with individual focus. 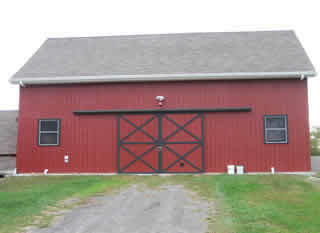 Her operation is in a separate location from the barn. Her stalls are 12ftx12ft. She keeps an extremely hands on approach with her horses and is availible daily. The grounds and apartments are cared for by Pleasant View Farm. We ensure an elegant atmosphere.